Devoid Of Culture And Indifferent To The Arts: Spam. The kind you eat and the kind you don’t. If you have a blog you’re going to dine on spam. Sometimes lots of spam. I get spam on a regular basis. Alas, but none to eat. 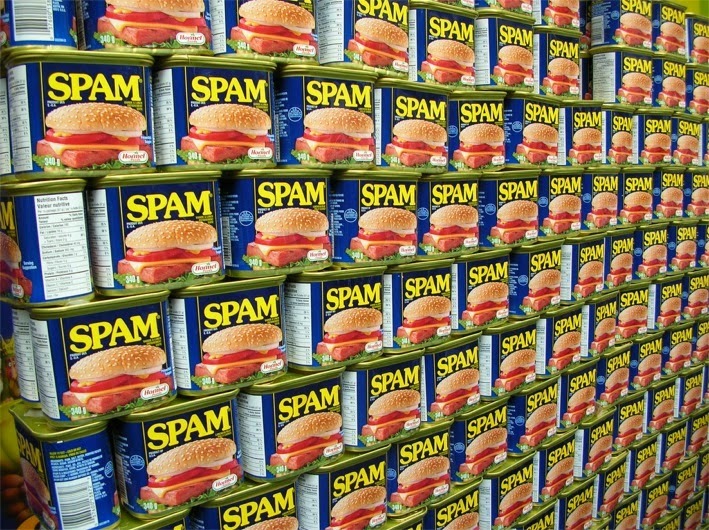 Did you know that “Spam” the product is SPiced hAM, first introduced by Hormel Foods in 1937? It’s supposedly good for breakfast, lunch or dinner. Mmmm... It’s never touched my lips. It does make one wonder what the folks who make Spam actually think of the word being used for junk. But back to my spam. I thought I would share with you this week’s platter. Who do they think they’re fooling? Idiots. I know that it is automatically generated, but please. If you’re going to spam me at least have the courtesy to spell correctly – or make sense. My “real” comments do, for the most part! I have to say Blogger’s spam filter is pretty good. I’ve only had a few slip through in my years of blogging. I know there’s ways to lessen getting it, but then what would I read? So without further ado, here’s a few. I thought you might enjoy them. A link to actual Spam (meat?) recipes follows at the very bottom. Incorrect spelling is from cut and paste. 4. This one asks for no spam! 5. Likes half of my posts? But now, if you want to dine on spam that’s more filling take a look here. 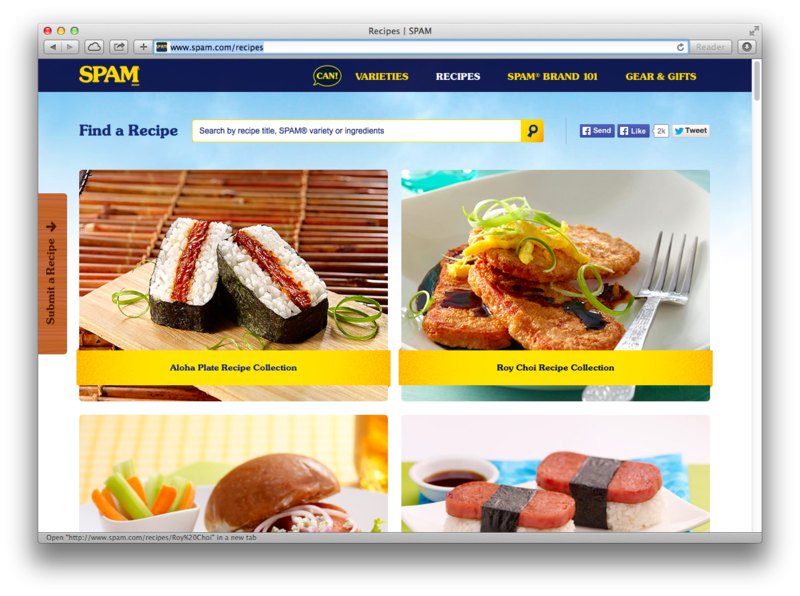 There seems to be a preponderance of “sushi” spam recipes. Kind of turns one off their breakfast (lunch or dinner), but lots of fun none the less.